Want to hear something crazy? I’ve never been to Hawaii. Ok maybe it’s not TOO crazy, but still, I’ve never been. One day, when my wife and I feel like we finally have all of our finances in order, WE ARE GOING TO HAWAII! In the meantime, we just have to pretend we are there, by eating food that might be served to us in Hawaii. We don’t know if the food really would be served to us because we’ve never been, but let’s just pretend. In this instance, we are pretending that Hawaiian pulled pork would be served to us, so that’s what we made. I love pulled pork, and I love pineapple, so combining the two just seems to make sense. I was surprised by how mild the taste of this pulled pork was, compared to more traditional cooking methods I’ve done in the past. This Hawaiian pulled pork recipe is something I’ll definitely make again in the future. I really enjoy smoking pulled pork because of how versatile it is. 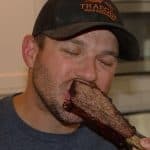 There are so many different ways you can eat it. Despite all of the different options, my favorite is on a bun. The local grocery store has some excellent Kaiser rolls, and those are always my first choice. 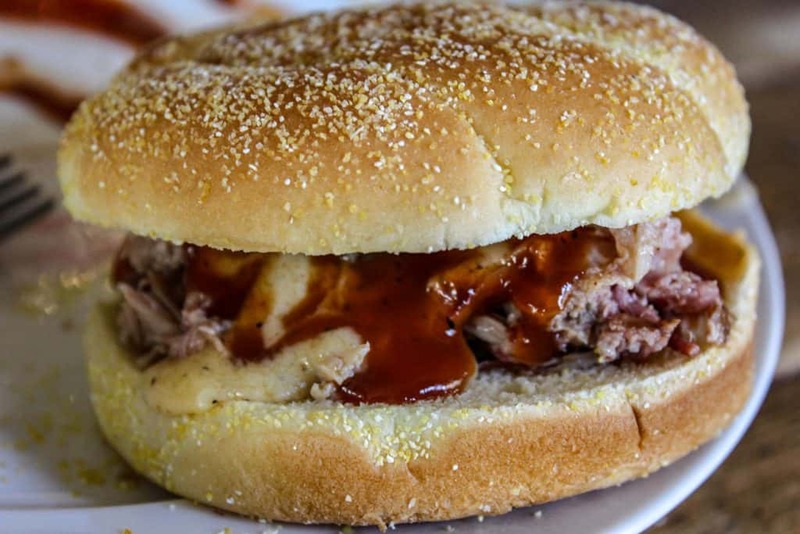 The second thing that I believe is crucial to the perfect pulled pork sandwich is some good cole slaw to add a little crunch and tang to each bite. If you don’t have coleslaw, dill pickle slices are a great alternative. 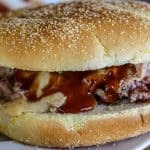 After you’ve piled the Hawaiian pulled pork and coleslaw/pickles on the kaiser roll, the next two ingredients are what really make the difference for me. Ingredient one: a delicious barbecue sauce. Ingredient two, aka the gamechanger, homemade cheese sauce. This cheese sauce is really easy to make and only requires a few ingredients. In a small saucepan melt a tablespoon of butter over medium heat. Add a tablespoon of flour to the melted butter and stir. Get all the flour clumps out, and then add three-quarters of a cup whole milk. Mix the milk in with the butter and flour, and then add a tablespoon of BBQ rub. This is where the steps get really scientific… grab a small handful of shredded cheese and drop it in the saucepan. Stir. Add another small handful… stir again. After three or four handfuls of cheese, you should be at the perfect consistency for your sauce. I like my sauce to be a little runny, so I lean to three handfuls. If you want the sauce to be a little thicker, do four handfuls! This pulled pork cheese sauce only takes a few minutes to make. 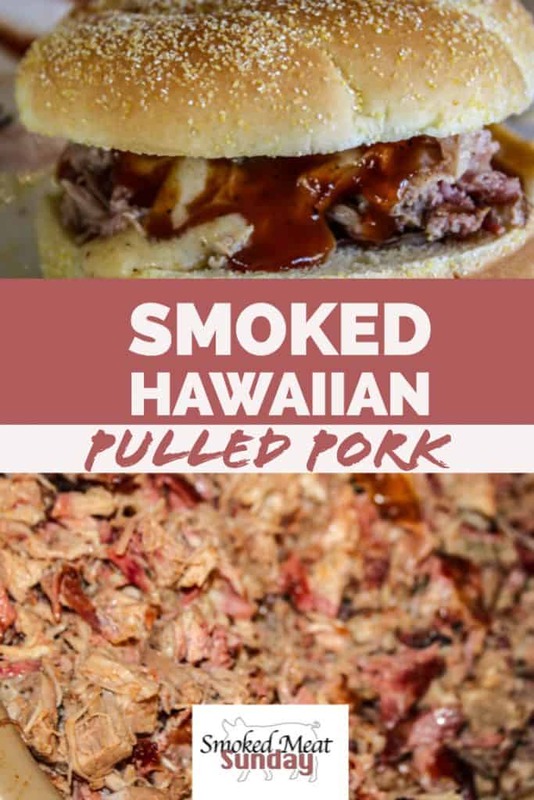 I’d recommend making this right before you’re ready to serve the Hawaiian pulled pork so that it is nice and warm for your guests. We served this Hawaiian pulled pork with carrots and beets on the side. You might consider having some sliced pineapple too. 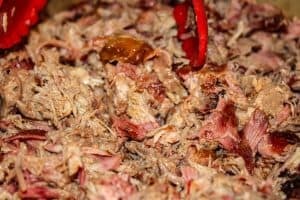 I really enjoyed making this Hawaiian pulled pork, and I hope you enjoy the recipe too! Quick reminder, when you’re cooking pulled pork it’s super important that you get that pork shoulder all the way up to 200 degrees before pulling it from the smoker. This takes a long time! Be patient, and know that the pork shoulder will stall around 150 degrees. I’ve had pork shoulders sit at 150-160 for 4+ hours! To be 100% certain what the temp is of your pork shoulder, use a Thermapen. I have a white Thermapen MK4, and I love it. My wife uses it during the week when she is cooking dinners for us too! I love pulled pork, and I love pineapple, so combining the two just seems to make sense. I was surprised by how mild the taste of this pulled pork was, compared to more traditional cooking methods I've done in the past. This Hawaiian pulled pork recipe is something I'll definitely make again in the future. start adding cheese to milk mixture, one handful at a time, until the cheese sauce is the consistency you'd prefer. add bbq rub. 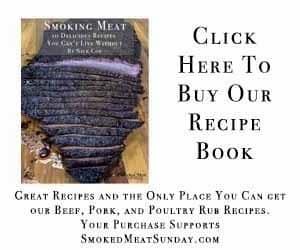 Make sure you get the rub into all the nooks and crannies of the pork shoulder and rub any excess into the barren spots. When the internal temperature of the pork shoulder hits 160 degrees remove it from the smoker and wrap it with a double layer of tin foil. Before sealing the foil tight, add a half cup of pineapple juice. Continue to cook the Hawaiian pulled pork until the internal temperature is 203 degrees. When the internal temperature reaches 203, remove the pork shoulder from the smoker and put it in a cooler with some towels. Let the pork shoulder rest for at least an hour in the cooler before shredding, and enjoying!